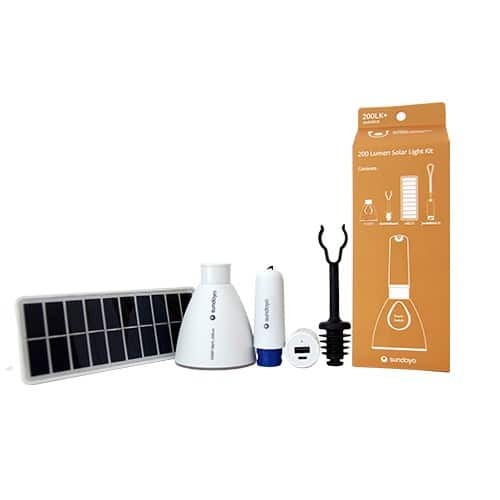 Sundaya Joulestick Kit 2+ is a multifunctional equipment for portable energy needs. It can be used as flashlight, desk light and ceiling light. The stick is recharged by the solar panel. With the phone stick you can also charge your smartphone.